What is Unique About the Hearts on Fire Diamond? 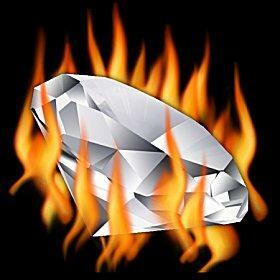 Is your heart on fire for this hot diamond? For discriminating couples interested in the perfect gem to symbolize their love, a Hearts on Fire diamond is an exquisite choice. With one of the most elite standards of excellence in the industry, this exclusive type of stone makes an exceptional engagement ring and is often the favorite of celebrities for designer jewelry. Since the Hearts on Fire company began in 1996, they have consistently worked to create "The World's Most Perfectly Cut Diamond." Through rigorous quality standards, these specialized stones are among the most sought-after in the jewelry industry. Each gem is thoroughly inspected by a trio of experts and graded by the American Gem Society, the only diamond grading laboratory to include cut standards as part of their evaluation. To meet these exacting standards, Hearts on Fire lapidaries use 100x magnification both for inspection and for actually shaping and cutting stones, when the industry only requires 10x magnification. Only when the stone has been thoroughly evaluated with this intensity will it be registered as a Hearts on Fire diamond. 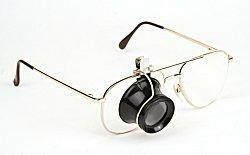 Intense magnification is necessary to create the precise Hearts on Fire cut. The cut is the single most important diamond characteristic for creating stunning sparkle, brilliance, and light dispersion. Hearts on Fire stones are cut to release the maximum amount of light from the table (top) of the cut, giving them sparkle from edge to edge. This creates a brilliant effect within the stone, improving the color and clarity of the gem. Even the carat size may appear larger, because the diamond can sparkle throughout the stone and there are no dark spots or shadows that diminish its appearance.The exact symmetry of a Hearts on Fire diamond is revealed through a proportion scope, a magnification tool that allows the stone to be examined directly from the top and bottom. The top view reveals a ring of eight perfectly symmetrical hearts, while the bottom view displays an intricate starburst - together, they are the significance behind the Hearts on Fire name. Because Hearts on Fire stones are limited to round shapes to preserve their symmetry, they offer fewer options for engagement ring designs. Many couples prefer to use such a precise diamond as a brilliant solitaire, letting the stone's beauty be the ring's focal point rather than incorporating distracting details. Different settings are available, though traditional prong designs are the most popular to bring the greatest amount of light into the gem. These exquisite stones can also be made into three stone rings, bridal sets, and a variety of custom designs. Because of their exclusivity, these diamonds are only available at authorized jewelry stores and are not available online. The official website, www.heartsonfire.com, offers an easy-to-use store locator that includes international boutiques for customers interested in considering these exquisite stones. The gems can be customized with microscopic inscriptions when purchased: wedding dates, sentimental phrases, names, and initials are the most popular choices to add additional symbolism to the stone. Hearts on Fire offers a variety of limited return options and quality guarantees, and before purchasing such an elite stone a couple should investigate their policies as well as the policies of the associated jeweler to prevent any misconceptions. A Hearts on Fire diamond is the ultimate in exquisite round gems and the perfect way to say "my heart's on fire for you." With unparalleled quality standards that promote a commitment to excellence, these stones are a perfect choice to begin a perfect life together.